Writer David Blistein and I have known each other longer than we can remember. Really! Turns out we grew up around the corner from each other in Providence, RI. But we didn’t actually meet until we both found ourselves living in Brattleboro, Vermont during the 1990s. So it was a personal as well as professional pleasure to work with him on the limited-edition book Waking the Dead in Real Time. 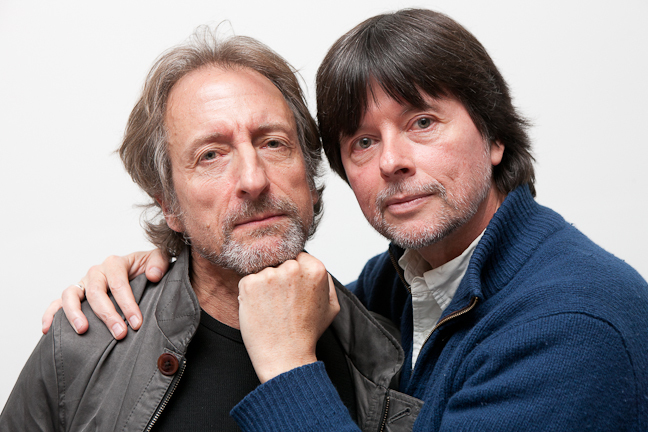 The title reflects a collaboration between David and his long-time friend, documentary filmmaker Ken Burns. There’s an original essay by Burns called “Waking the Dead,” along with four excerpts from David’s work-in-progress, Real Time, in which historical characters walk into his everyday life. David—who once owned an advertising agency—cut his design teeth on the same standards of classical typography as I did. He remembers the days when kerning headlines or raising a line of type two points meant getting out the X-acto knife. 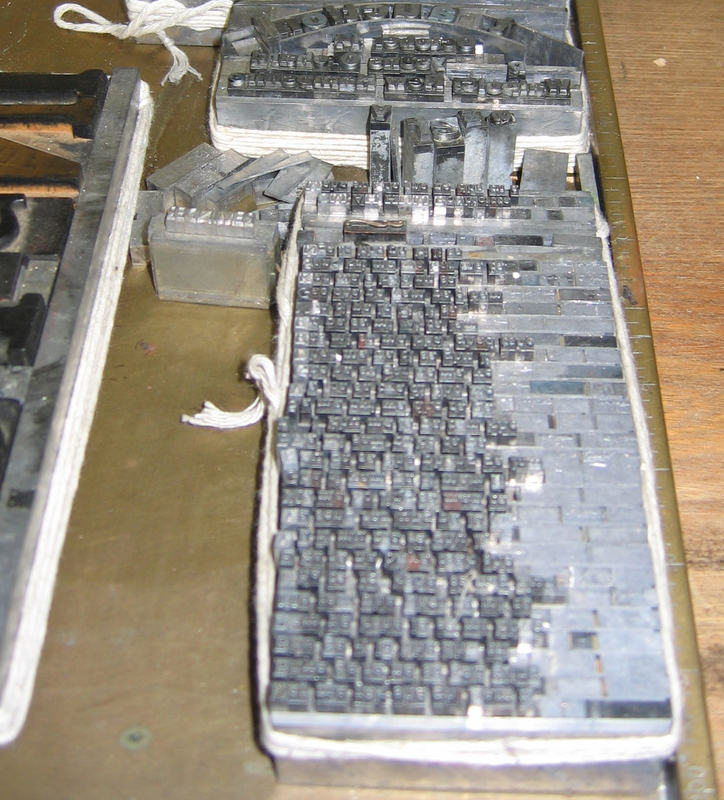 So, while we couldn’t afford letterpress—if only!—we were committed to adhere to similar standards, from the selection of typeface, paper, and color to the style of the inside flaps. For readability, I selected Dante, a collaboration between the acclaimed Italian printer, book and typeface designer Giovanni Mardersteig and Charles Malin, one of the great punch-cutters of the 20th Century. It represents a culmination of years of collaboration between the two men, during which they became experts on the fine nuances of letter construction and how it affects ease of reading. 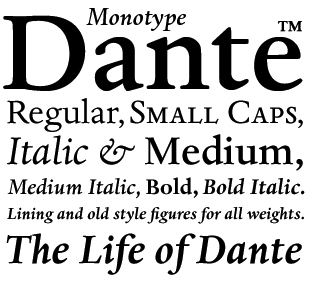 Monotype persuaded Mardersteig to allow the company to develop machine-set versions of Dante, with the help of then 20-year-old Matthew Carter—a perfect merger or letterpress and digital printing is the end result. For the paper I chose 80# Neenah Environment laid paper, a 100% recycled, (post consumer waste) paper that is FSC-certified and printed locally with soy-based inks. The cover is 100# Classic Laid, also fully recycled, with extra wide 3.5-inch flaps to give this 48-page book a more substantial feel. Sourcing all the paper (“tree-free”) to use only 100% recycled was important to us—most clients are intimidated by the supposed extra costs associated with using recycled, locally-sourced and sustainable paper, but when you factor in the free shipping, the extra care the printer took with our project, and quick turnaround, it is well worth it and comes out about the same. As a designer of a tactile object in today’s digital world, I want readers to “feel” the book; hold it in their hands and wonder what the paper is, turn it over, and imagine a journey through history (and, in the case of these two authors, beyond history). From there, we went onto the design elements. For me, as a book designer who had the good fortune to apprentice with some of the great designers in the United States (David Godine, Sam Hammil, Tree Swenson, Michael McCurdy, Steve Dyer, Dan Carr to name a few), I approach design, literally, from the “guts” of the book (i.e., content of the manuscript). In other words, I read Ken’s open and honest essay and David’s historical (one could say satirical, but when you read the collection closely, you see how he portrays the characters in a heartfelt way and from the guise of the Everyman) stories to fully appreciate the contents. To paraphrase designer, and mentor, Anne Chalmers, I often “godine” a book—this is kind of like Googling to us book design/typophiles! Each chapter begins with the name of the author or character—staggered and stacked—with strong black initial caps and the middle name in red in between the first and last name. Opposite those title pages is a signature or seal of the character—including ones for David and Ken which subtly places them as part of the overall historical continuum. Then we added the strongest design elements—biographical sidebars and original maps by illustrator Carolyn Kasper. 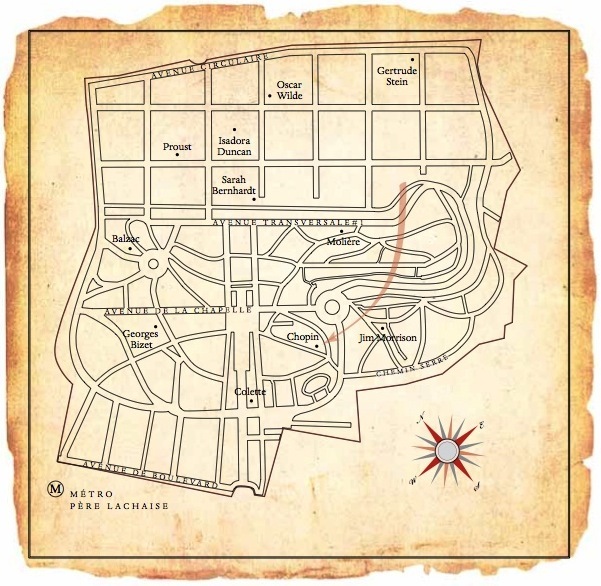 Positioned on an antiqued parchment background, the maps look like they came out of a book collector’s treasure chest. All these elements work together to give the book a feel of historical authenticity that supports the authors’ original perspectives on history itself. You can order the book at www.davidblistein.com. Since Ken’s already famous and David’s about to be, instant collector’s item! There are only 500 copies, each signed and numbered (I’m thinking a nice holiday present, natch). I also produced a reading as part of this year’s Brattleboro Literary Festival, and here is a book trailer that highlights that event and the book, too. P.S. Thanks to Springfield Printing for, again, doing a great job and achieving a really tight turnaround. Beowulf Sheehan portrait of our two authors, who are indeed like brothers, and serve to inspire and educate each other in a very funny and unique way. 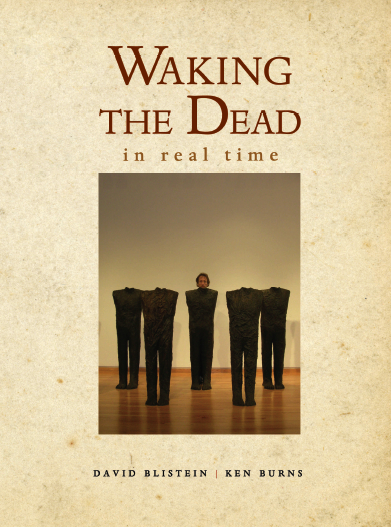 Their approach to history, indeed, "wakes the dead," and brings history to life. Dede, it was fun to read about your choices in the various design elements of the book. It sounds & looks like physically and visually enjoyable reading experience, thanks to your careful decision making and to Carolyn’s skill with cartography. Beth M.
The book feels great in hand. And it’s fun to read. Really cool, Dede. I love the treatment of the maps. Nice work, Dede! The bomb of book design, you are! Fascinating to see the careful reflection you put into each choice for every detail. Looks like a very special book! I must say, they were lucky to have the opportunity to work with you, Dede! !